Custom Order singles or set of 4 Sandstone Coasters – These absorbent sandstone coasters have the look of woodcut printing with an organic retro style. Durable, easy to clean matte finish with natural cork backing. These absorbent sandstone coasters have the look of woodcut printing with an organic retro style consistent with the art and ascetics of fly fishing. Matte finish. Custom orders using one of our existing designs are the same price as stocked items. Simply let us know which design in the order notes when you place your order. We can add any river or lake name to our existing designs. To order: complete checkout and include the river name and a description of one of our designs that you want on your sandstone coaster set in order notes. We also accept orders for rivers that we don’t yet feature in our collection. -Hard coated for a durable, matte, easy to clean surface. Each sandstone coaster is custom made, production begins once you place your order. Please allow ten days handling, sooner when possible. 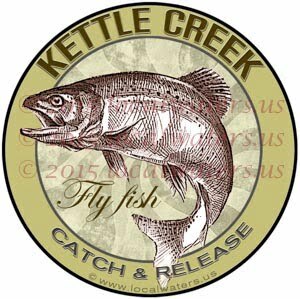 Salmon River Idaho Salmon Fishing coaster All designs are available on coasters by request. 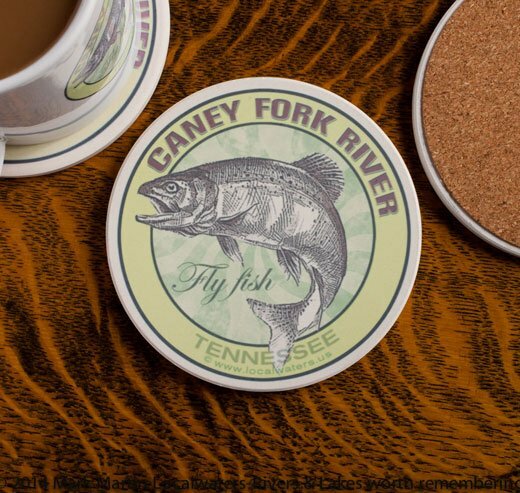 Little Red River Fly Fishing Coasters. All designs are available by request. 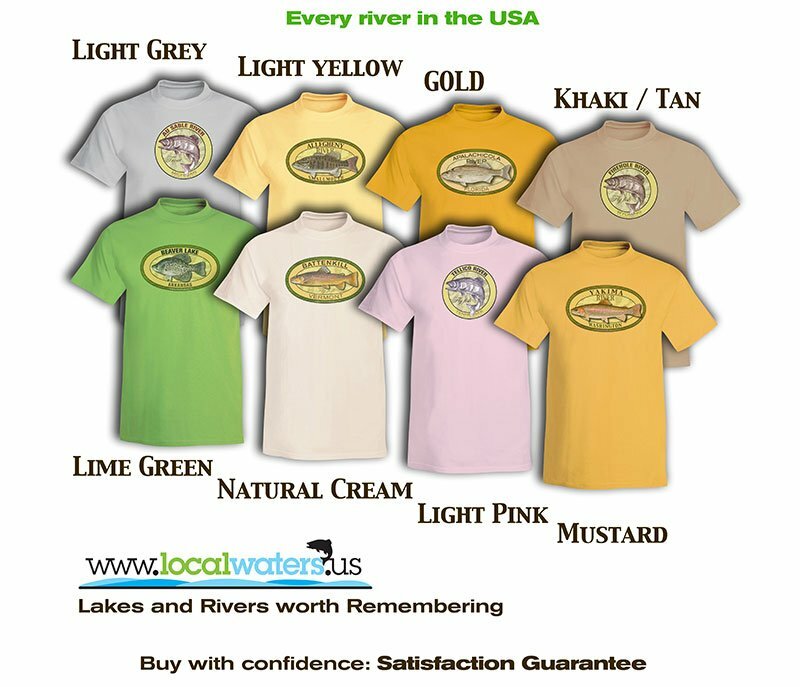 Custom Designs Available We can add your club, river, lake, boat name etc. in space below the fish with custom orders. Use the contact form on the website to inquire about design costs, quantity discounts etc.